We are a leading Exporter of phe gasket for textile industry from Mumbai, India. We are engaged in Manufacturing Supplying and exporting of PHE Gasket for Textile Industry. Our gaskets are available in various sizes and shapes that meet the stringent requirements of several industries. 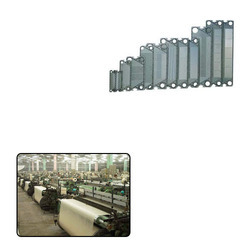 The Plate Heat Exchanger Gasket is designed by dependable vendors, who ensure to manufacture it in strict compliance with the international quality norms and standards. Looking for PHE Gasket for Textile Industry ?